These words were spoken by a man who had been taught by his father to use arrows when he was a young boy. As an adult, he used arrows to hunt wild game to feed his family. This man knew the importance of sharpening an arrow. However, in this instance he wasn’t talking about a wooden arrow. He was talking about the process of checking the New Testament translation. He was walking through his village when he passed the house where several people were talking about the coming of John the Baptist and the baby Jesus. 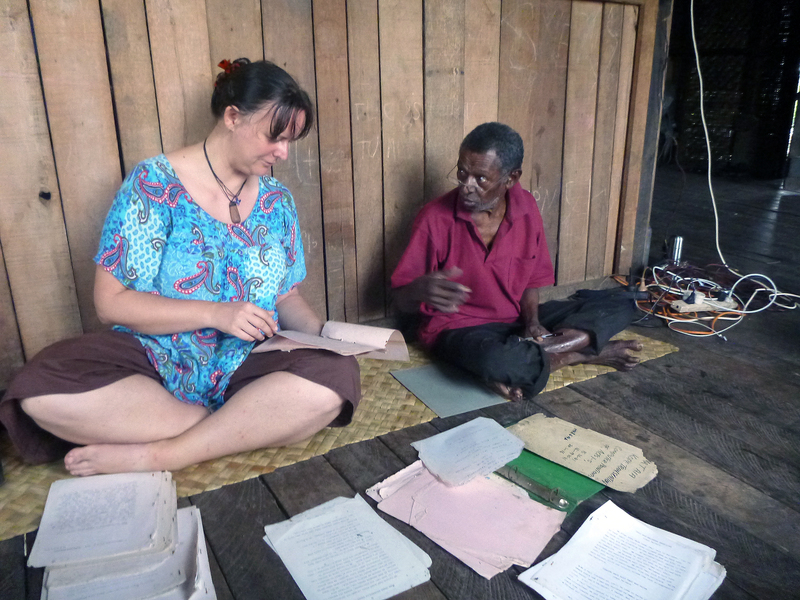 Translation advisor Hanna Schulz was sitting on her veranda with the Kope translation team. Together they were going through the newly translated books of Luke 1 and 2 phrase by phrase. Their purpose was to check for accuracy and clarity. As they worked, they made adjustments in the text where needed, making the message sharp and clear. Each step is part of the process to create an accurate translation that is true to the original meaning and speaks in smooth clear Kope. 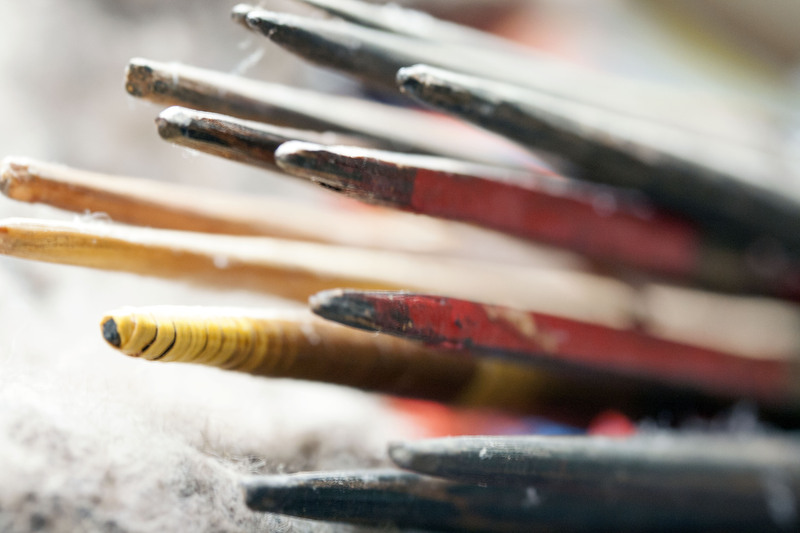 When they reach that point, the Gospel of Luke will truly be like a well-sharpened arrow, refined and useful in the hands of the ones who hold it, cherish it, and allow it to shape their lives. Each of the students in the room shared a common vision of translating the entire Bible into the heart language of his or her people. Many of them previously helped translate the New Testament into that language. Some are already working on Genesis, Ruth, Proverbs, or other Old Testament books. These twenty two students from all over Papua New Guinea came to the Ukarumpa Training Center for a five-week, in-depth study of the Old Testament to broaden their understanding and to ultimately produce translations that accurately communicate God’s message. The students learned through active involvement. 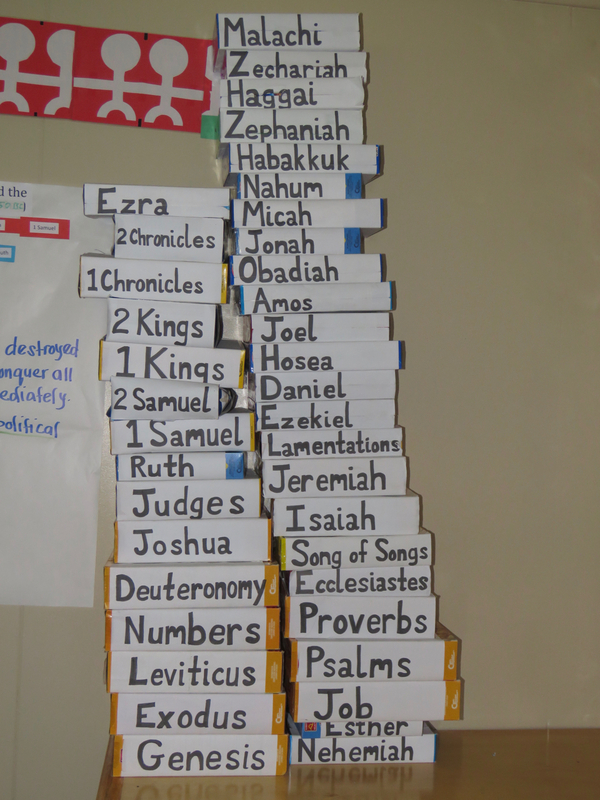 They participated in mini-dramas, raced to arrange boxes with the books of the Bible in the correct order, and learned actions to help them remember major themes. They also drew maps of Bible lands, and sketched posters of family trees, and studied a three-dimensional replica of the tabernacle. Each day a different student led the class in devotions, often sharing how lessons learned in the class applied to his or her own life. Learning involved not only group activities, but also doing research individually. Each student was assigned a book of the Old Testament to probe in-depth. As a culmination of their studies, they each made a presentation about that book, some using posters, some acting out dramas. All shared the major themes, purpose, and personal life application of that book. When translators Kim and Annie Colich published the Gospel of John in the Tami language, Annie wanted to do something more than just sell the book. She wanted to find a way to make it real to them and let it impact their lives. The Lord directed her to write Bible studies on the “I AM’s” spoken by Jesus. A group of women had been meeting regularly at a local church on Wednesday mornings and they gave her permission to lead the Bible studies for the ladies as part of these gatherings. The ladies weren’t the only ones who noticed. One man attended each of the ladies’ meetings and sat quietly listening. As a church leader, Thursday mornings were his time to address the village. As Annie listened each week, she heard him teaching his community group the very lessons she had taught the ladies the previous day. 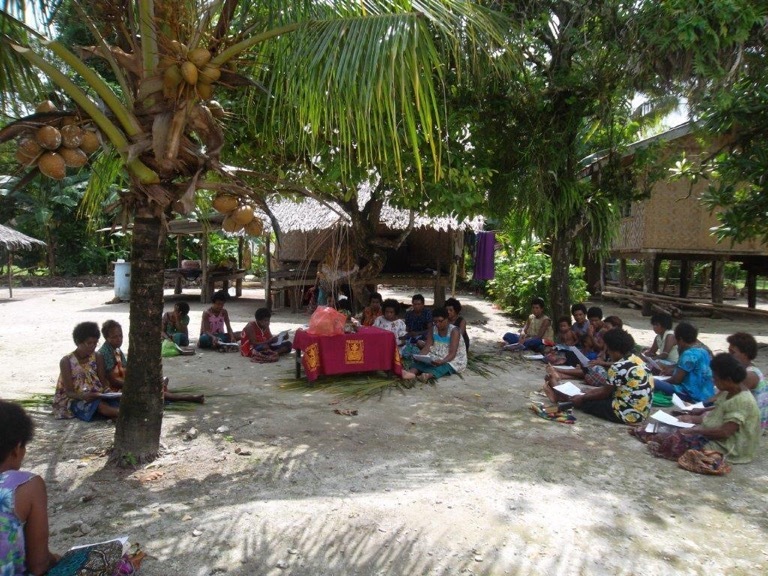 This village leader was learning about Jesus and he couldn’t wait to pass on the teaching to others. The church in this area has used the trade language Bible for many years. 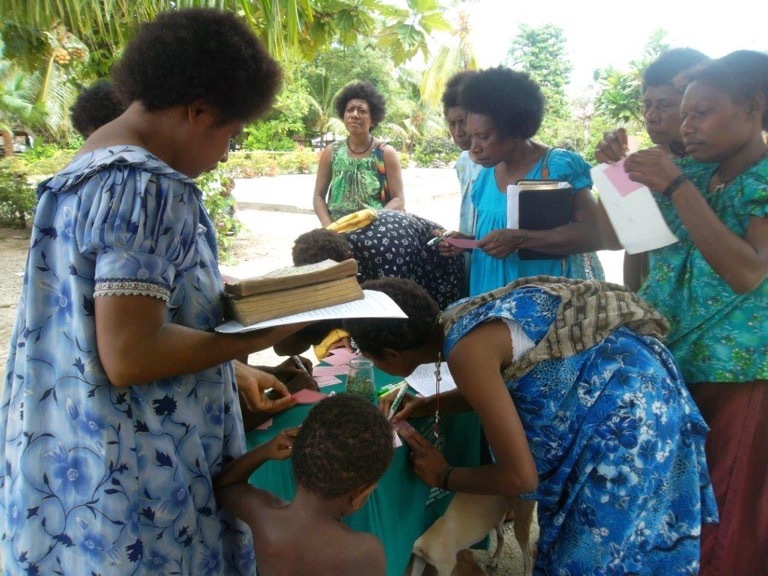 But this was the first time people of Malasiga village had studied the Scriptures using an audio recording of the Bible in their heart language. Hearing the translated Word in this way is stirring up a fresh excitement among this people group! It is helping many of them understand in new ways that God’s Word was written to be obeyed and that it makes an impact on how they live their lives.